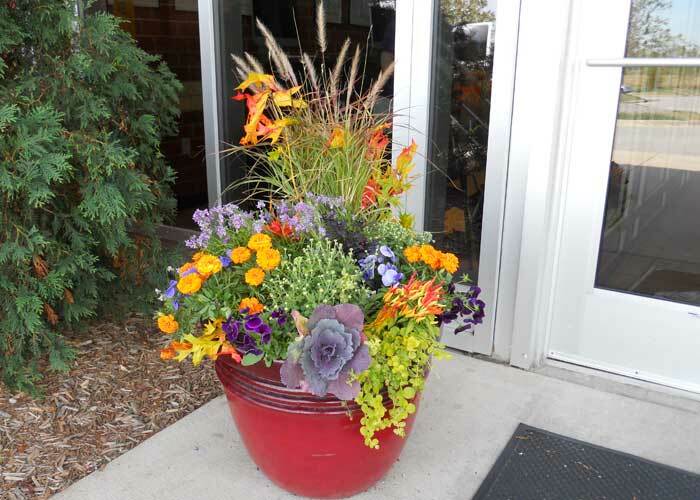 Fall is a great time to experiment and have fun with container gardens. Try different colors and textures. Think about using perennials or trying out some cool looking, cold loving annuals in your containers. 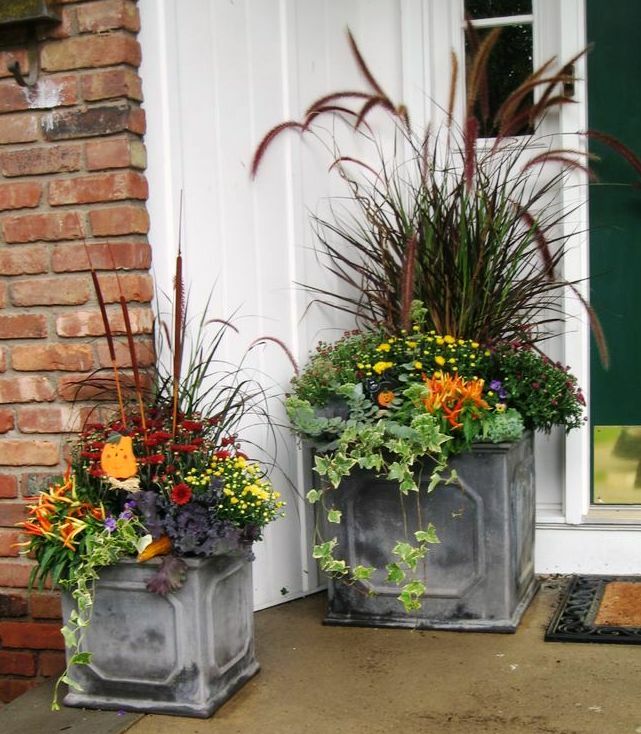 By grouping container gardens, you can really change the look of an area, be it a deck, a yard, a terrace, a landing or stoop. You can move your containers around in the grouping to change the look. This is particularly handy in fall because plants like asters and mums get tired and when they do you can easily move them to an out of the way spot. Heucheras come in totally fabulous colors and are very hard to kill. They look great alone but play well with many other plants. Most heucheras scoff at sub-zero temperatures, some are so good-natured that they are equally happy in full sun or full shade and anything in between. 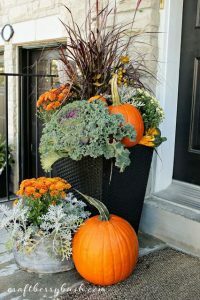 We can create the perfect fall decoration that can last through fall and well into winter. Just let us know when you would like it delivered.